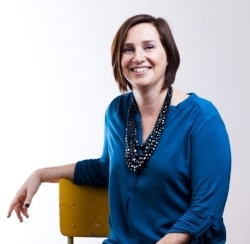 Spark was founded by Hannah Huber, a Dutch-American who has called Amsterdam her home for over 15 years. Originally from Gettysburg, Pennsylvania and having lived in Washington, DC, Hannah's passion is bringing inspirational people together, connecting talent to those who can learn from this talent. Hannah previously served as a resident director for the leading U.S. study abroad organization for American students, running programs in Amsterdam and Groningen. She currently serves as a program manager at Nyenrode Business University next to her work at Spark. She has a proven track record in curriculum design, organizing events, finding guest speakers, and hosting events. Her intercultural skills complement her passion for bringing people together and making connections. 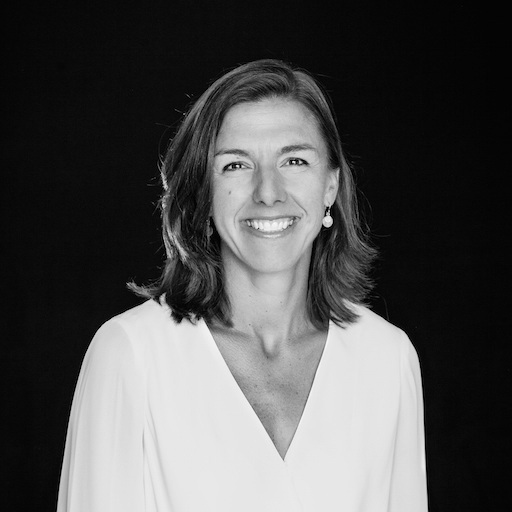 Throughout the process of starting her own business Amsterdam Academy, she realized how many female entrepreneurs were operating in isolation of each other and decided to do something about it - Spark was born. 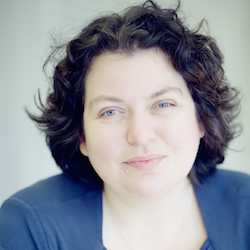 Emmy is the founder of Stichting Amsterdam Mamas and owner of Emmy McCarthy Consulting. Emmy is a gentle nudge over the cliff's edge for businesses who are on the tipping point of good to outstanding. Because it is much more fun to leap into the next phase with someone by your side. When she's not digging around in other people's businesses you can find her growing her village in the city by connecting you with the information and support you need to live the life you want in Amsterdam. 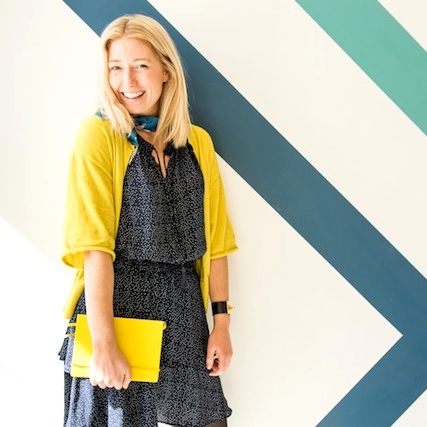 If you would like to get to know Emmy better, make sure you are registered for her fortnightly Notes for the Curious, a jam-packed blast of tips and tricks for building your business. 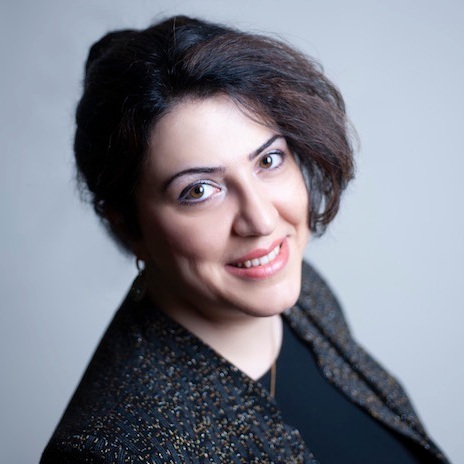 Somaye Dehban, who is responsible for Spark's fundraising and sponsorship, brings valuable experience through her business Your Funding Network. Somaye founded Your Funding Network in 2013 through which she offers tailor-made fundraising services to her hand-picked clients: She believe in collaborative approaches as her motto is "Sharing is Power", and making a difference where diversity, transparency and integrity are cross-cutting issues. Somaye has excellent interpersonal skills and ability to quickly understand and interpret stakeholders’ requirements, make connections, and develop strong and lasting relationships with stakeholders at all levels, resulting in all-round effective strategic connector. In 2018, Your Funding Network became a partner with Dutch Coalition for Humanitarian Innovation along with other partners such as Dutch Ministry of Foreign Affairs, Red Cross, The Hague Security Delta and Deloitte to name a few. Somaye is also active in Dutch and International politics and writes on a wide range of topics from women's rights to climate change to freedom of associations. Steph’s passion is to inspire and empower people to be the most authentic expression of themselves. A ‘professional expat’, originally from Melbourne Australia, Steph has travelled and lived in various different communities around the world. She understands the challenges involved in setting down in a foreign land and having to build a life (& business) from the ground up. This is what inspired her to build My Mindset Coach, an online coaching business for young ambitious professionals who are leaping into a big lifestyle change. She works with clients 1:1 around the globe, helping them to stay accountable and achieve their personal and career goals in less time. Steph is very passionate about the Spark community and knows the positive effects of having an inspiring network. As our Community Outreach advisor, Steph loves to bring like-minds together to collaborate, learn and grow together in a supportive and fun environment. Question for Steph? Connect/ Chat with her here. Melissa Curran Kalker serves on the advisory board of Spark for 2018. She brings a wealth of ideas and knowledge based on her own experience setting up her business in professional organizing in the Netherlands, Sorted.byMelissa. Before starting sorted. she worked for 20+ years with non-profits, corporates and start-ups managing information and systems, creating and improving processes and coordinating events and office moves. Born and raised in the Netherlands, Renée Spruit spend most of her career within an international scope. Having been the director of the Council on International Educational Exchange in Amsterdam (and Brussels), she developed and executed educational programs for students & faculty from the USA, lead a team of passionate colleagues and motivated students in their study abroad experiences. In her free time she founded the non-profit organization Waar Ontwikkeling Werkt and committed to several volunteering projects. To further explore this entrepreneurial mindset, she’s now diving in the deep, looking for new challenges; one in which she can share her fascination for people and cultures, and to contribute to make this world a better and equal place. Starting with helping out at Spark! With background in psychology and hands on experience in business and marketing I’m happy to contribute to the Spark marketing and communications team. My current job includes online marketing activities (mostly focused on LinkedIn and email marketing campaigns), I have experience and strong interest in Instagram (I have an Instagram account devoted to healthy food) Additionally, I completed extra courses/workshops to gain insights in the field of marketing and growth hacking (Google workshop & Growth Tribe Academy course).Devoting my time and energy to what I find truly meaningful is very important and fulfilling for me. I see Spark as a supportive environment full of opportunities for progress where my work would help others and contribute to a bigger picture. I plan to become a female entrepreneur myself one day, and what can be better than surrounding myself with successful and like minded women from the very beginning.